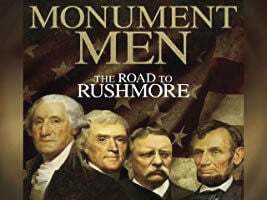 LACONIA — 'Monument Men' Part IV discusses Theodore Roosevelt, a president whose respect for natural beauty was unequaled, and whose foreign policy brought several new territories under U.S. control. Roosevelt took the final place on Mount Rushmore. This film is scheduled for Wednesday, April 24 at 2 p.m. in Taylor Community’s Woodside Theater. It is free and open to the public. For more information, visit www.taylorcommunity.org or call 603-524-5600.